On a fundamental level, each organism's evolutionary success is determined by little more than whether it can survive long enough pass its genes on to a new generation. But one newly-discovered marsupial appears have taken that natural precept to the extreme, preferring the act of mating so much it actually kills them. 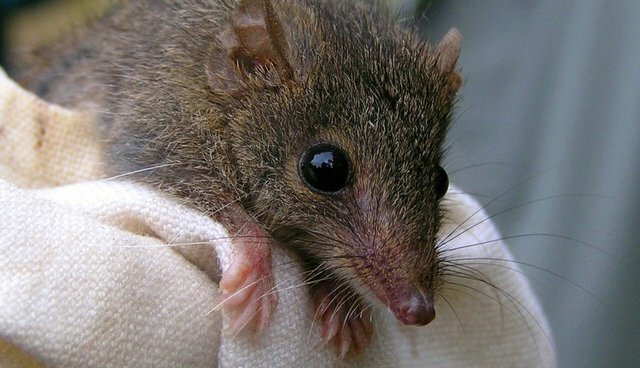 Queensland scientists say the mouse-like animal, called the black-tailed antechinus, was found living in the highlands of Australia's Springbrook National Park, though their population size may be dangerously small. Like other species in the genus, this new species is believed to possess the rather unusual propensity to reproduce with such vigor that it ends their lives. "They probably follow the typical pattern of antechinus, which is all males are dead before they turn one year old," says Dr. Andrew Baker, researcher from Queensland University of Technology, to the Australian Broadcasting Company. Biologist Diana Fisher published a study just last year detailing antechinuses' deadly mating habits, thought to arise from intense competition among males to ensure their genetic material wins out over others'. What they do is just competitively mate, so they mate for a very long time, like 12 to 14 hours, some of the species," said Fisher. "They do it over and over and over -- they're very promiscuous. There's this huge intense mating season going on for about two weeks." But the same hormones that lead to this epic show of sexual prowess has a detrimental affect on their health, causing the males to die long before any offspring are born. As Fisher puts it, their fiery urge to mate basically causes them to "disintegrate," albeit deed be done. While it may be impossible to dampen the black-tailed antechinuses' lethal passions, Dr. Baker says an endangered species listing is already being sought for the animal to ensure it's protected from other types of threats to its life.